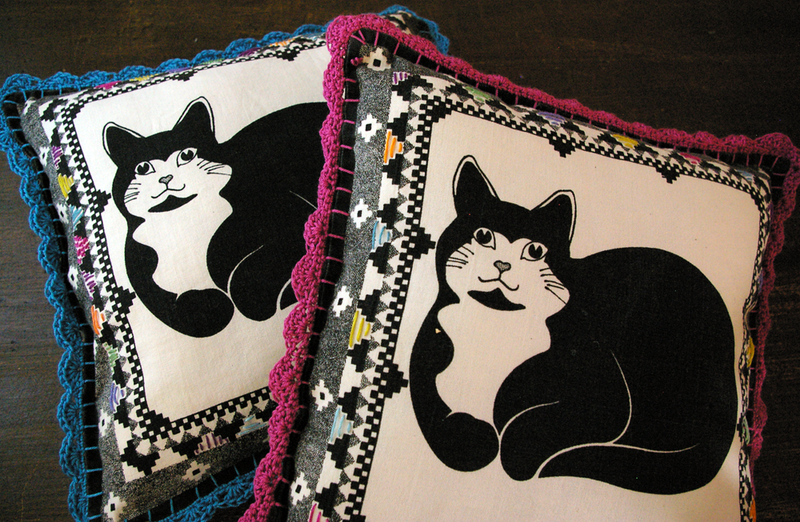 hey you guys remember the charity shop cat cushions covers I posted about a while back? well I finally completed them! 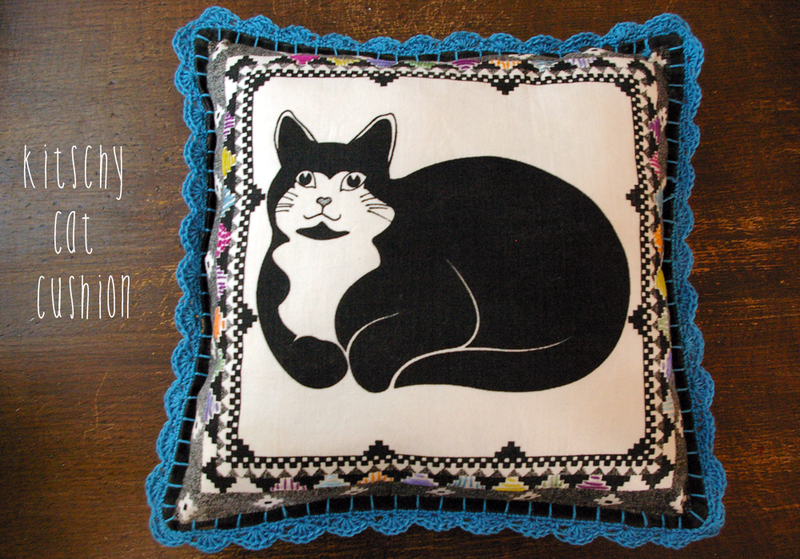 I added a splash of colour to the black and white cushion covers using brightly coloured embroidery threads and jazzed them up with gorgeous crochet edging! 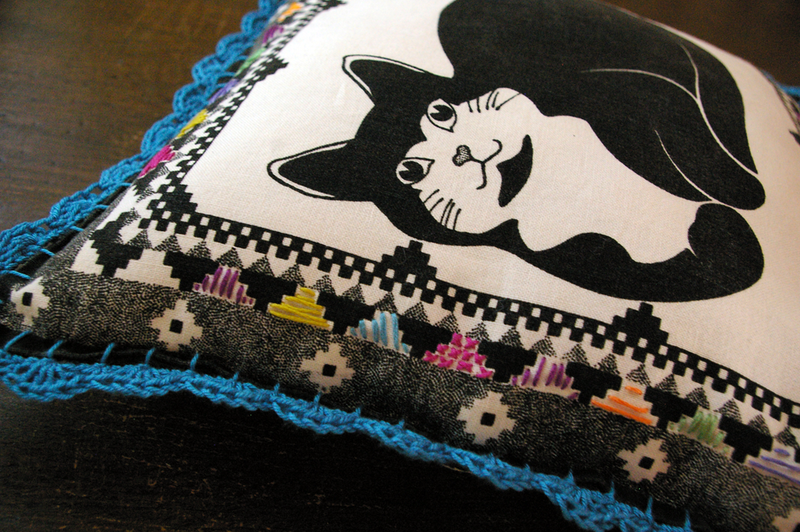 kitsch because despite the slightly garish, gaudy colours, I think they are adorable! 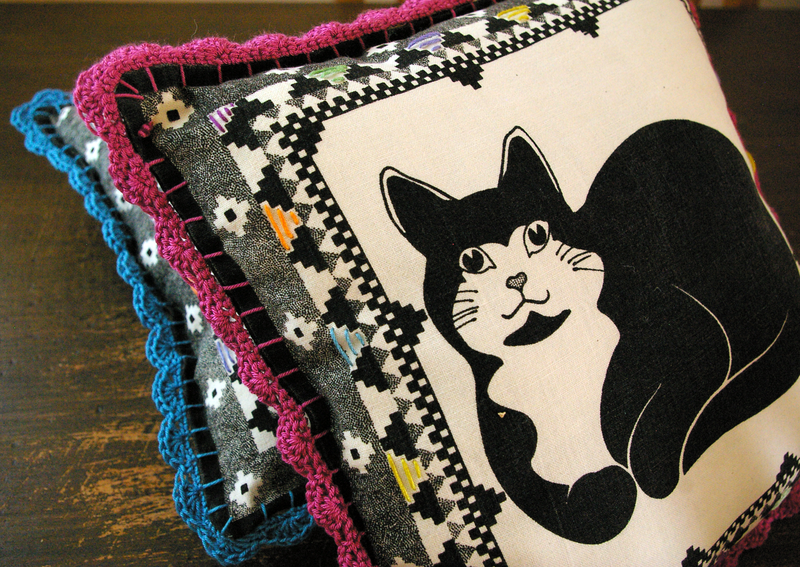 This entry was posted in crochet and tagged cat cushion covers, craft, Crochet, crochet edge, crochet edging. Bookmark the permalink.